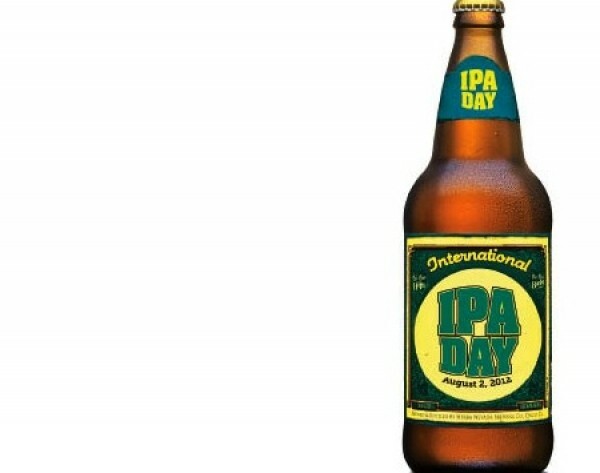 Aug. 2 was International IPA Day, and there were celebrations of India Pale Ale from Salt Lake City to Timbuktu. One such fÃªte was held at Bombay House, where, in recognition of International IPA Day, the folks from Squatters launched a new limited release called Monsoon Monster India Pale Ale. It’s fitting that this particular International IPA Day event—a beer-pairing dinner featuring India Pale Ale—took place at Bombay House, an Indian restaurant. India is integral to the history and development of India Pale Ale, the origin of which dates back to the 18th century, and to the occupation of India by British colonists. Then, as now, the Brits loved their ales. And so, attempts were made to ship British ales to expatriates and colonists in India and elsewhere. But delicate English ales didn’t fare very well in casks on the open seas, or in hot climates. After months at sea, the ales would usually arrive at their destination flat and sour. After many attempts by the British navy at various methods of storing and shipping beer to the colonies, a solution was found. Surprisingly, it came in the form of a beer recipe, not new technology for shipping or storage. Keep in mind that we’re talking about a time before the advent of refrigeration or pasteurization. In those times, hops and alcohol were the only means of preventing beer from spoiling. So, in the 1790s, a London brewer named George Hodgson surmised that by adding extra hops and extra alcohol to his standard pale ale, it might better withstand the difficult voyage to India. Voilá! He was right. The result was a high-alcohol, somewhat bitter (due to the large amount of hops) brew that came to be known as India Pale Ale. And Hodgson’s India Pale Ale, brewed more than 200 years ago, was the precursor to the wonderful India Pale Ales available today. If you love hops, as I do, then India Pale Ale might just be the beer style for you. It’s a crisp, bitter, hoppy beer, but one that’s well-balanced at its best. Given its origins, it’s a little ironic that the best India Pale Ales are now brewed in this country, not England, where the Brits tend to favor lower-alcohol beers. Most IPA is 6 percent alcohol or more. The new Monsoon Monster IPA from Squatters weighs in at 7.3 percent alcohol by volume, packaged in a 1-pint, 9-ounce bottle. It’s a collaboration of Squatters’ brewers Jason Stock and Dan Burick, in concert with Oregon brewing legend John Harris, formerly with Full Sail. Falconers Flight hops (named for deceased Northwest brewer Glen Hay Falconer), combined with others, make this an ultra-hoppy Northwest-style IPA: very aromatic, with floral, grapefruit and lemon notes. Given India Pale Ale’s origins, it’s probably not too surprising that IPA is a perfect foil for the richly spiced, complex foods you find at restaurants like Bombay House. IPAs are a good match for dishes like those served at the International IPA Day dinner: tandoori chicken and Chettinad lamb, for example. A classic preparation of Chettinad lamb or mutton is brimming with exotic flavors: fennel seed, cumin, ginger, garlic, star anise, cardamom, chili powder, coriander, turmeric, cloves, cinnamon and more. A dry, crisp IPA helps tone down the heat of spicy Indian and Asian dishes such as this one, and the floral aspects of the ale beautifully embrace flavors of ginger, garlic, spices and such. So, the next time you go out for Thai, Sichuan/Hunan, Vietnamese or Indian/Pakistani fare, thinking about cracking open a cold India Pale Ale to help beat the heat.